Most women constantly live with the pressure to do it all, and then live with the guilt when it doesn’t all get done. As I sit down to write this, my 3-year-old boys are bouncing around in their bedroom, not taking the nap that I need them to in order to get all of my crap done. In the last 10 minutes, I’ve returned some work emails, paid a bill, bought a present online, confirmed a dinner reservation, and remembered to add milk to my grocery list. Earlier today, I finished an assignment, worked out, grabbed breakfast with a friend and then picked up my boys from school. The day is only half done and I’m already exhausted. If I’m being honest though, I’ve been running on fumes since the minute I woke up. It’s my natural state of being—going, going, going, with a million to-do’s in my head, many of which I’m going to forget. Some days, I feel so frazzled that I have to force myself to pause and take a deep breath. Other days, I’m just worthless, worn-thin and thready, lost in a Candy Crush stupor. Sure, I set aside time for myself plenty, except even then, I can’t seem to turn off the low hum of my running checklist. I can’t help but feel guilty that I’m wasting this valuable time on something so stupid…like me. Yes, I’m sure a lot of this is because I’m a stay-at-home mom who also works from home. It’s like the best and the worst of both worlds because, although I get to fulfill my love for both my kids and my writing, there’s always something that needs to get done. Some meal to make. Some deadline to meet. Some family to see. Some game I promised my kids. When I think about it though, I can’t remember a time in my life when I didn’t feel like I had too much to do. Hasn’t it always been like this? Even before the husband and the house and the dog and the kids? My plate has always felt too full. 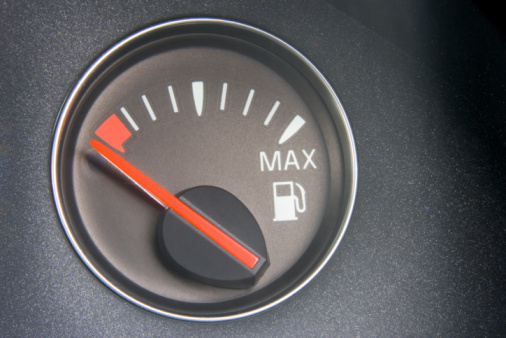 In fact, I think that most women are often running on empty, at least to some degree. Overwhelmed. Stretched thin. They feel like they’re being pulled in a million different directions. They feel like they could use a break, but spend their break thinking about what still has to get done. I mean, do you know any woman who seems completely peaceful and balanced, with plenty of time to watch the hummingbirds and enjoy her cup of cold-brewed coffee? I don’t. Even women who have plenty of idle time seem to fill it up. They can stretch a minor project—like packing for vacation or organizing their shoes—into an agonizing, weeklong grind. I think that we women are burdened by feelings of responsibility—to work, to friends, to family. We say yes when we probably shouldn’t, make commitments that’ll wear us out, and overbook our lives. As a result, we then live in this constant state of “What’s next? What now? I should probably take care of x, y, and z while I have five minutes.” And if we forget to return a phone call or simply don’t have the time to chat, we beat ourselves up for being a terrible friend/daughter/spouse. We constantly live with this pressure to do it all, and we live with the guilt when it doesn’t all get done. Sometimes, I’ll ask my husband why he doesn’t grab drinks with a friend more often or look into trivia night somewhere. He always tells me we’re too busy with the kids, or he’s too tired from work, or there’s never any free time. But women rarely say no to friends and family—even when we can and we should. We often take on too much and yet, somehow, it usually gets done. It’s a miracle, but it does. And because of this, we keep saying yes. It’s a vicious cycle. We keep saying yes because we are seasoned efficiency experts, skilled time managers, and master multi-taskers. We’re also very, very tired. But do we really have to be?